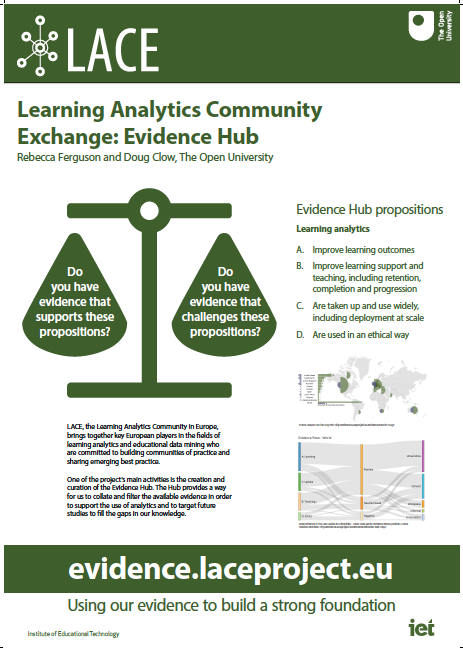 I took a poster about the Evidence Hub run by the LACE project to the Learning at Scale conference in Edinburgh, which ran just before the LAK16 conference. Ferguson, Rebecca (2016). 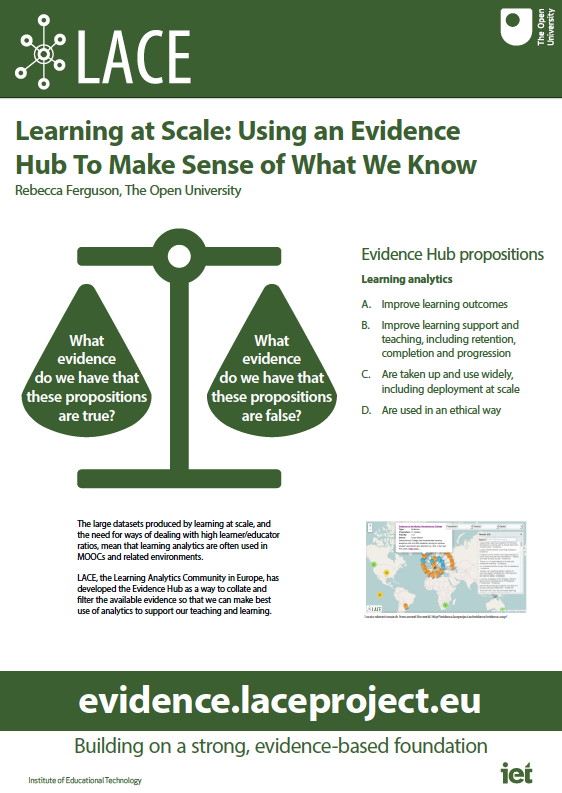 Learning at Scale: Using an Evidence Hub To Make Sense of What We Know. In: L@S ’16 Proceedings of the Third (2016) ACM Conference on Learning @ Scale, ACM, New York. I also took a companion poster to the LAK16 conference, which took place later in the week in the same venue. The posters are designed (by digital media specialist Peter Devine) to stand alone or to work together. This entry was posted on July 20, 2016, 3:13 pm and is filed under Analytics, Conferences, Posters. You can follow any responses to this entry through RSS 2.0. You can leave a response, or trackback from your own site.